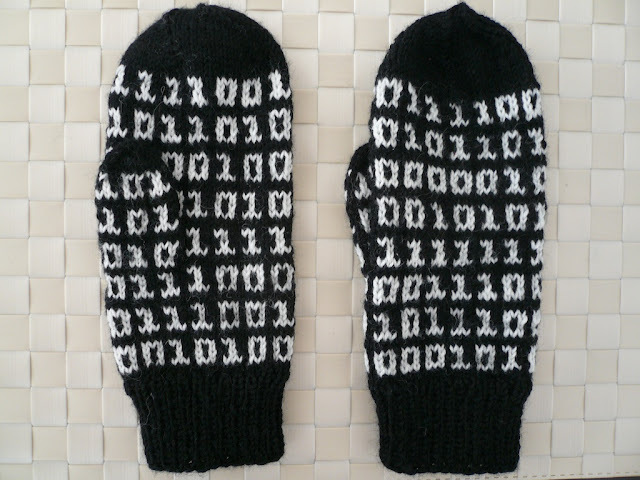 ME made: One more geek kept warm! One more geek kept warm! I skipped the penguin and made them a little bit smaller but for the rest I pretty much followed the colourwork-pattern. And they should be quite warm too, thanks to that colourwork and doubble yarn on the inside. Socks for a diving suit!